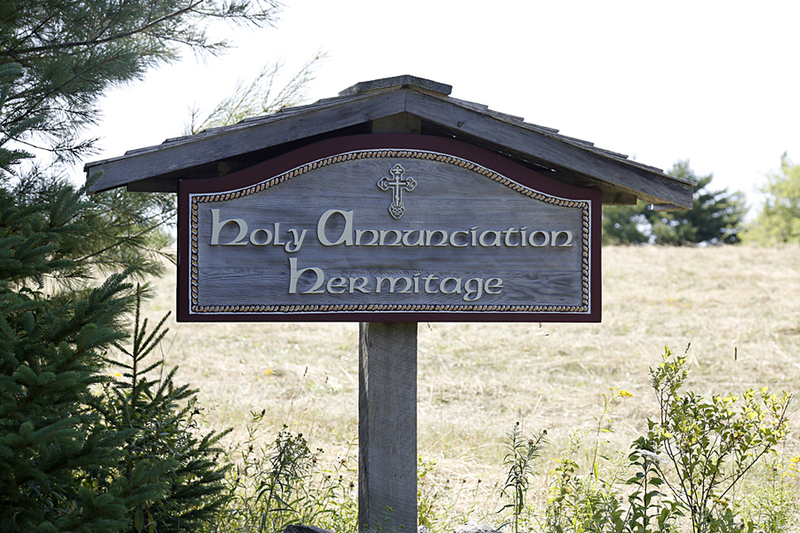 The monks of the Hermitage of the Annunciation moved to New Germany from Halifax for peace and quiet over a decade ago. But it&apos;s a little less quiet around the small monastery these days with the arrival of traditional Russian bells earlier this month. 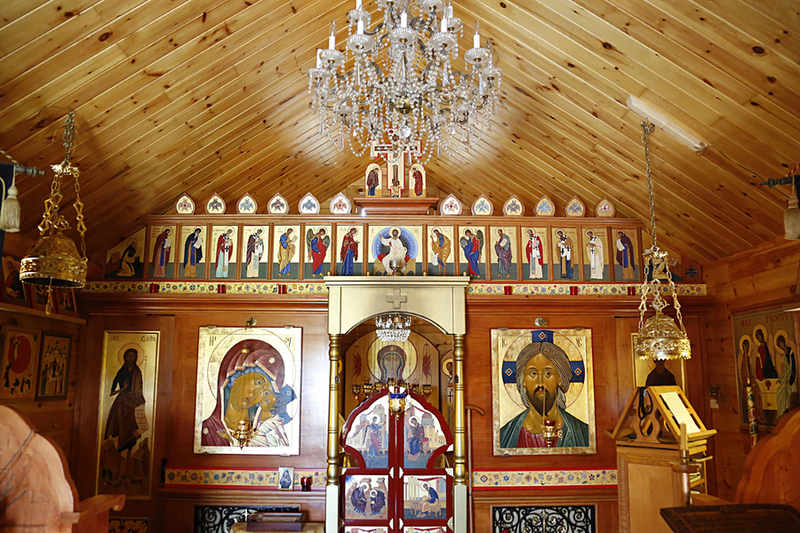 Aida-Elizabeth Airapetov, a follower of the Russian Orthodox Church, donated the bells that are used as a call to worship or to end services. They were made in Russia specifically for the monastery. 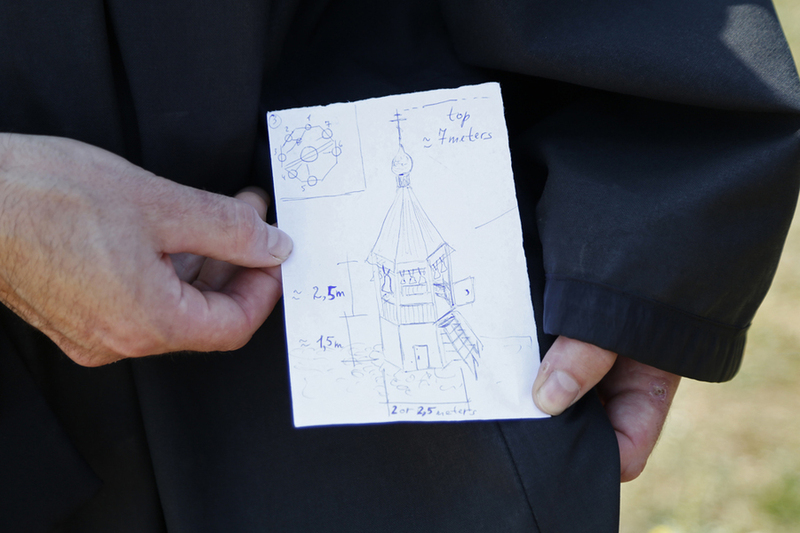 "The bells are the voice of the faith and all the orthodox churches have the voice and when we discover the monastery has little voice with small bells we decided to bring up the spiritual loudness," said Airapetov. 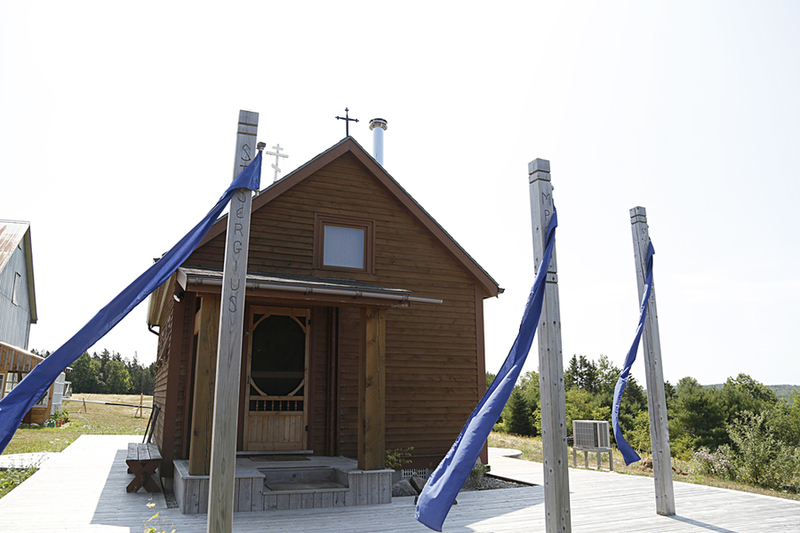 The bells have the monastery&apos;s name inscribed on them along with the icons of Christ and the saints. 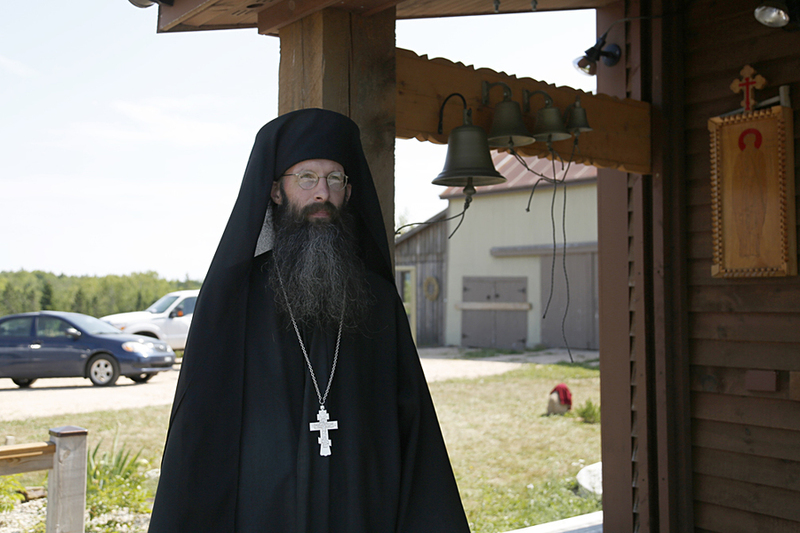 As part of the donation, Andrei Diachkov, an expert in Russian bell ringing with the Archangelsk School of Bell Ringing, travelled from Russia to teach the monks how to ring the bells. Diachkov spoke to LighthouseNOW with translation help from Father Alexander, a priest from Halifax. "It&apos;s been about 20 years he&apos;s been doing bell ringing," said Alexander. Diachlov was one of the first to be taught by master bell ringer Ivan Danilov shortly after the end of Soviet rule. Before that the religious practice wasn&apos;t allowed. Now, he&apos;s traveled all over the world passing on what&apos;s learned. 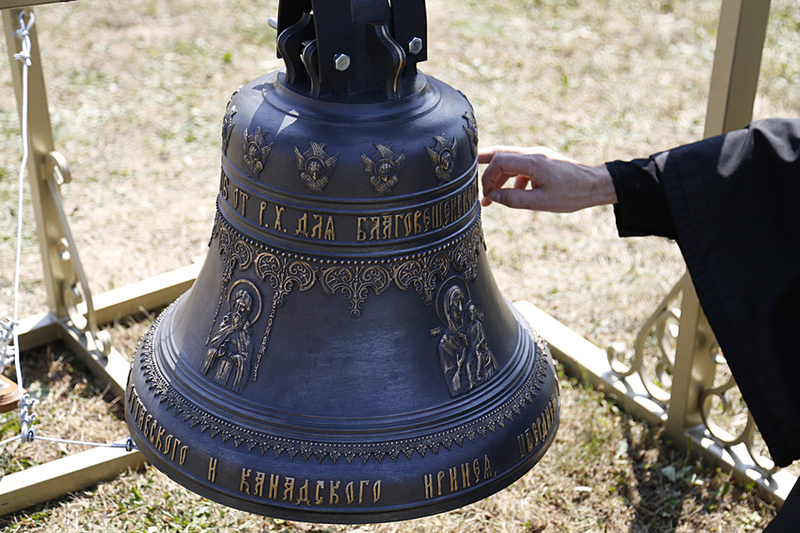 "Much of the art is actually in the casting of the bells," said Diachkov through Alexander&apos;s translation. "The task of the bell ringer is actually not to introduce something of his own but rather to just not interfere with the beauty that is already in there." Diachkov says from a technical point of view, it&apos;s a rather simple instrument and one can learn the basics of bell ringing in a couple days. But he adds that it takes a spiritual lifetime to unwind the larger mysteries of bell ringing. There are some melodies he&apos;s been learning for 20 years. Diachkov, who taught the monks in New Germany individual melodies, says Father Cassian was a quick learner because he used to play the drums, although Cassian is not sure he agrees. "He has already mastered some complex techniques right away," chuckled Diachlov in Russian. For Cassian, playing the bells is not about pride. Like Diachkov, he says they aren&apos;t meant for showing off or putting ones self into the melody. The bells are played using two hands and a foot, with one hand ringing three bells on the top rung by pulling three strings simultaneously, while the other hand hits a band on individual bells on the middle rung. The foot is used to hit a pedal that rings the large bell on the bottom rung. Before receiving the donation, the monastery was using four boat bells that Cassian says weren&apos;t ideal even if they got the job done. 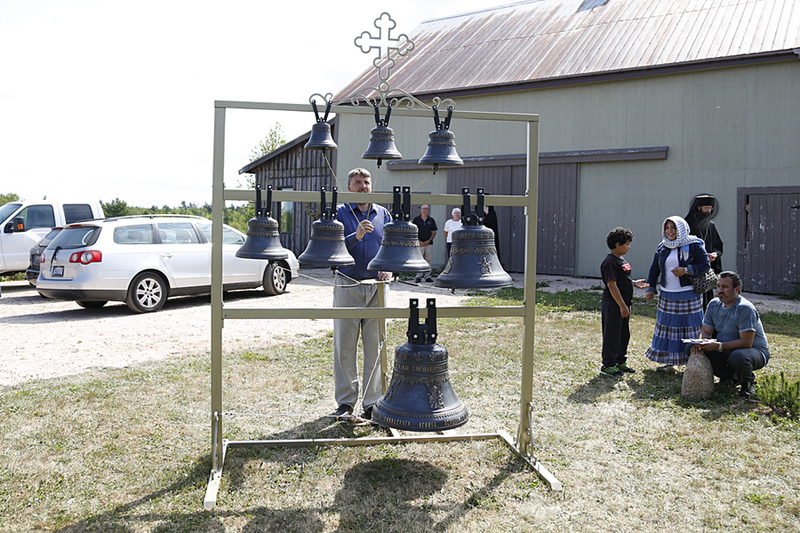 "Bell ringing is very joyful and expresses essentially the heart of the gospel, which is a message of joy," he said. It&apos;s a simple life for the three monks who live at the monastery full time. 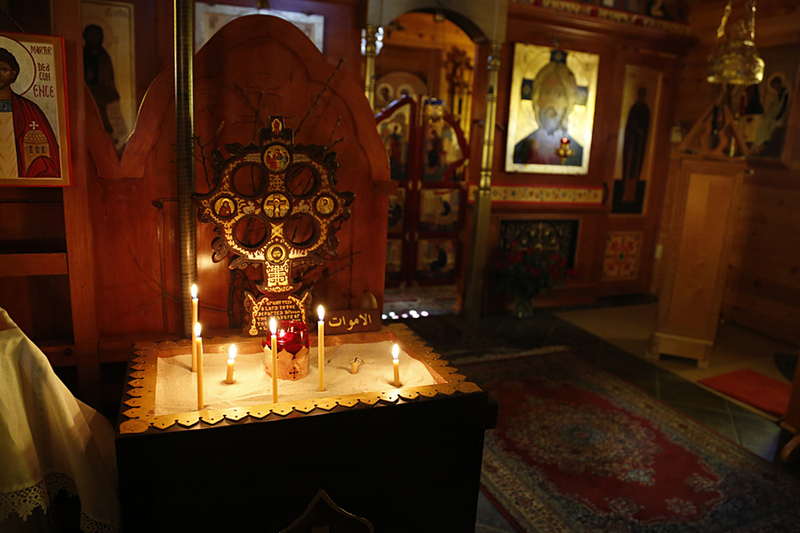 Their morning prayers start as early as 3 a.m., and much of their day is spent praying and meditating, with the occasional visitors from other orthodox churches along the South Shore and Halifax. "Four times a week we have a mass or a service and then it&apos;s work until noon," said Cassian. The monks work on wood-working, gardening, publishing prayer books and fabric works, all in an effort to bring in income for the monastery. With winter on its way, they&apos;ll eventually need to find a way to house the bells. 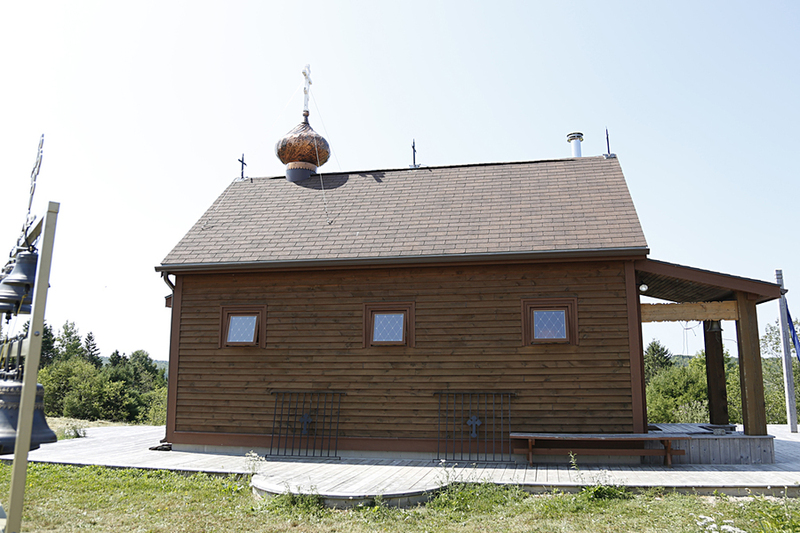 The monastery has an onion dome, a style of architecture often found in Eastern European and Russian churches. They hope to build something in the Russian style, if they can find someone to do it. Diachlov even drew a picture of the octagonal tower he believes they deserve. For now, the bells will remain outside where their sounds can be heard loud and clear. Cassian jokes that although the monastery moved to Lunenburg County because of noisy neighbours in Halifax, they&apos;re likely the ones making the most noise now. "We&apos;ll see how much our neighbours love us," he laughed.